A good friend has just sold a debut story to an excellent but non-paying market. There are a lot of markets for short fiction. Many of them are bad. Some of them pay. Some of the ones that pay the most are the worst. In the world of short fiction money is a very bad way of assessing quality. There is a popular myth that back in the good old days writers could make a living from short fiction. It’s a myth continued in the idea of the ‘pro-rate’ of pay for short fiction. 5 cents a word can add up to a nice little bonus payment, but it’s only professional money if you are living in the 1920s. And only then if you lived on beans and fresh air. The only reason the ‘pro-rate’ matters at all is because it gives at least some indication that the publisher is committed enough to invest a little cash in their enterprise. The only real measure of a short fiction market is the quality of its curation. As readers we rely on editors to curate the best material to suit our interests. That is why the average start-up fiction magazine that publishes thirty stories lacks any value, while the excellent Clarkesworld which publishes just two stories a month has become the top market in short SF. As writers, publication in an excellently curated market is one of the best indications that you work has achieved quality. Writing fiction is not a manufacturing process. Success is not a product of your Rate of Productivity x Stories Published x Cents per Word. A dozen stories in a dozen ‘pro-rate’ markets can mean less than one story, in one well curated market which puts it in front of the right eye-balls. On the 1920s writers making a livingness 5/6 cents a word was a very good rate then. Far far better than SF writers of the era were making. John Scalzi has written about this on his blog. Granted that good curation is key… how can you tell a well curated rag from a badly curated one? @Gav – I think you can only start to know that by knowing the field you are writing in. The best guideline is that the market should have published the writers you’re work is related to. These days I’d also look at the market’s social media presence. And things can change quickly. Fantasy & Science Fiction used to be one of the top markets to be published in, but now because it hasn’t developed any effective online presence its much less important. The question was more rhetorical than it might seem. The common sense approach is how you lay it out. But the question remains, how do you tell the well curated from the poor? It’s easy to see that if my work looks like X then I think it may be suitable for Y. But this says nothing about the quality of Y. Similarly just because rag Y has great social media presence doesn’t tell me anything about the quality of it. Or anything else about it … really. Or even X – we know that you’ve been upset at what you perceive as a quality gap in certain places. Eh, hope that makes sense. The interesting thing that the best advice is to “just write and submit.” Many writers also complain that it’s just not feasible to spend their time familiarising themselves with a ton of markets because… they really should be writing. And I think the signal noise ratio has only gotten worse. It doesn’t help that many many markets are just so far behind the curve. But you know, we largely agree. Especially wrt Clarkesworld – who are excellent and who will one day publish me (heh). BTW I think that many authors have a problem knowing what they’re strengths are and who they think they are like (see comment about X). Points taken Gav. I think my answer to them is simply…writing is hard, building a career as a writer even harder. A lot of people are looking for strategies which eliminate the hardness from both parts. I just don’t think there are any. You have to find the handful of quality markets right for your work and break in to them. There isn’t really any other way. I find duotrope is quite a useful resource. 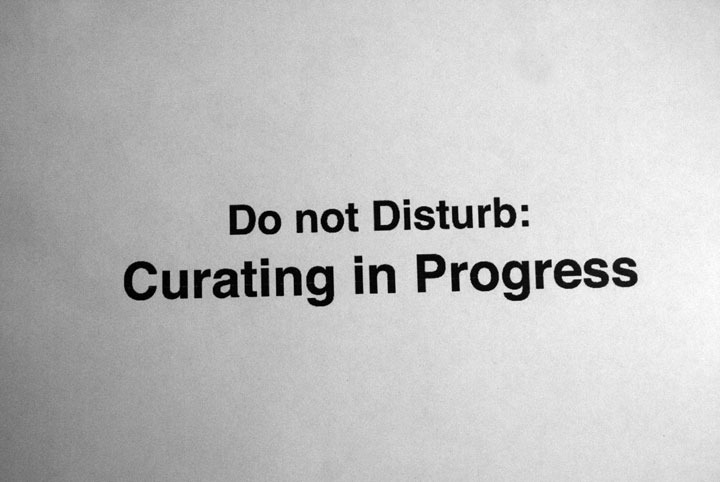 Time taken to respond to work is one indication of good curation. There is only one publication with a response time over a month in my top markets, and I know why it takes that long and am prepared to wait.